Bologna is the culinary capital of the Emilia-Romagna region in Northern Italy. With close to 400 000 residents, it is the largest city of the region. Bologna offers you its cobbled streets, filled with world-class restaurants that serve many of Italy’s famous and authentic dishes. The destination’s top attractions include Piazza Maggiore, San Petronio Basilicia, and Giardini Margherita. 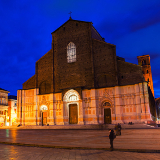 Prepare yourself to explore the wonderful capital of the Emilia-Romagna region, because cheap flights to Bologna are now available for a limited time! 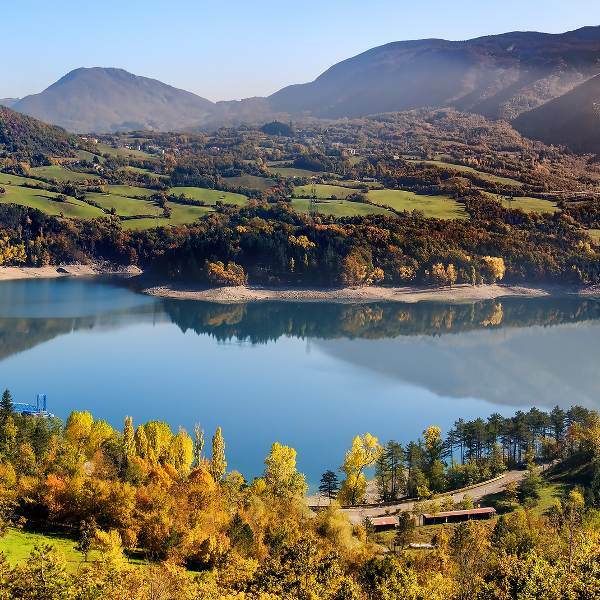 This destination is served by the Bologna Guglielmo Marconi Airport (BLQ), which is a 20-minute drive or a scenic 30-minute train ride from the city centre. Bologna is the birthplace of world-famous Italian sauce for which it is named and fittingly boasts an overwhelming number of classy restaurants, serving all the authentic Italian dishes. 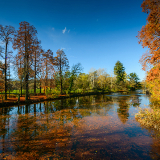 Enjoy access to a wide variety of museums and historical sites. Spend a few hours delving into the history of this city and the country. When you’re in the mood to escape the city for a bit, visit the enchanting hills and lakes that surround Bologna. Avoid the crowds, high hotel costs and low availability by visiting Bologna during the autumn (September to November). From September, you can still enjoy the warm and pleasant weather that marks the peak tourist season of late spring and summer (May to August). The amount of tourists will be on the decline as winter approaches, and you will have access to lower hotel prices towards November. 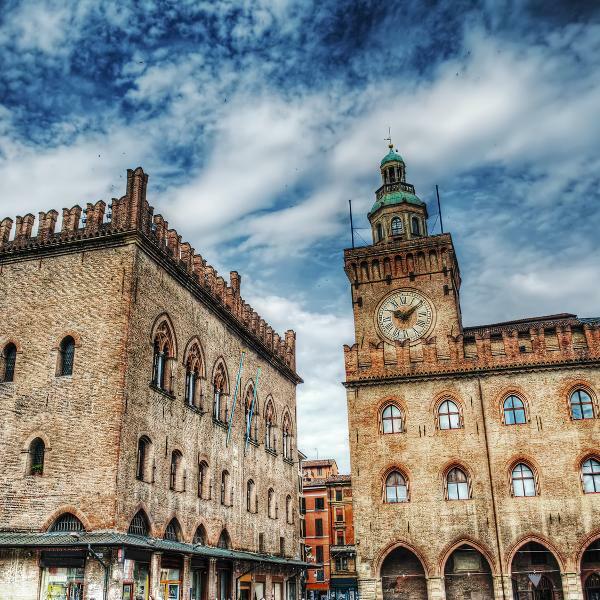 The off season is from December to April (winter to mid-spring); however, Bologna comes alive during this time with the student life, exhibitions and lectures. This means busier restaurants and higher volumes of rain, though there are plenty of portico-covered sidewalks to keep you dry. Bologna is a city often overlooked in favour of the Eternal City and the City of Canals. 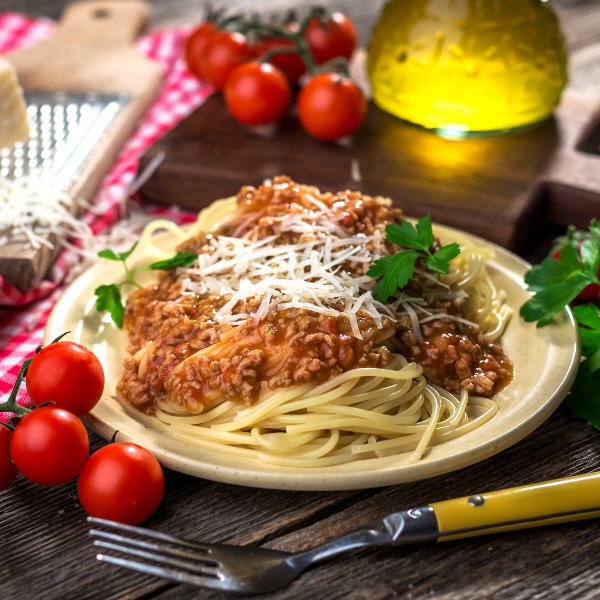 You’ll soon learn how much everyone is missing, though, once you’ve paid your visit to the culinary capital of the country, and the birthplace of the delicious dishes you know and love, including spaghetti Bolognese and Bolognese sauce. Like any Italian city, Bologna features ancient cobbled streets, filled with open-air world-class restaurants, where you can enjoy many of the country’s famous and original dishes. 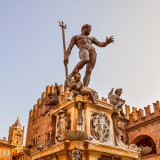 One of the top locations in the city is Piazza Maggiore, home to the stunning Fontana di Nettuno (which was built in 1563). The city also boasts a collection of museums, including those dedicated to the automotive legends of Ducati and Lamborghini! The gorgeous Bologna has something for everyone to enjoy. Compare several airlines, and book your cheap flights to Bologna online at Travelstart! The Centre for Diseases Control advises that you visit your local doctor four to six weeks before departing for Italy. You will need to get all the routine vaccinations, and may wish to get additional vaccinations against hepatitis A, hepatitis B, and rabies, depending on where you will be going within Bologna. Beware of beggars and pickpockets in Bologna. Make sure you keep a hand on your valuables and avoid taking money out in public. Pickpockets tend to work in pairs; one will try to grab your hand to distract you while the other goes for your pockets. If you can’t keep a hand on your valuables, ensure that they are in a secure compartment and not immediately accessible. There are plenty of hotels, as well as bed and breakfast rentals, in Bologna. Common features of these establishments include free Wi-Fi, conference centres, bars, lounges, and restaurants. The cost of staying at these places ranges from around €170 to around €900. The two most popular options for travelling around Bologna are buses and bikes. The TPER company controls all the buses in the city. You can buy tickets in central locations, such as railway stations, coach stations and the city centre, as well as when you board the bus. A single ride ticket is valid for 75 minutes and costs €1.50. Main ticket centres sell multi-trip tickets at a discount, with a 10-trip ticket costing €12 and the 24th ticket costing €5. Bike rentals are available throughout Bologna. The city is perfect for this mode of transport, with many bike trails and routes on the side of the road. Make sure you have locked them safely away, especially around the university, which is a common spot for bike theft.